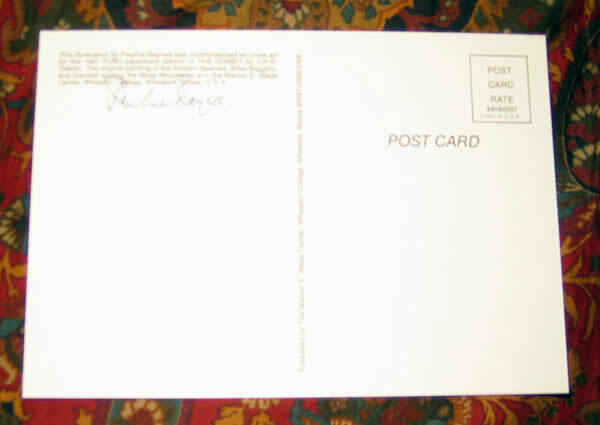 The postcard is in as new condition, with a mylar cover to protect it. No other markings or writing to the book or postcard. 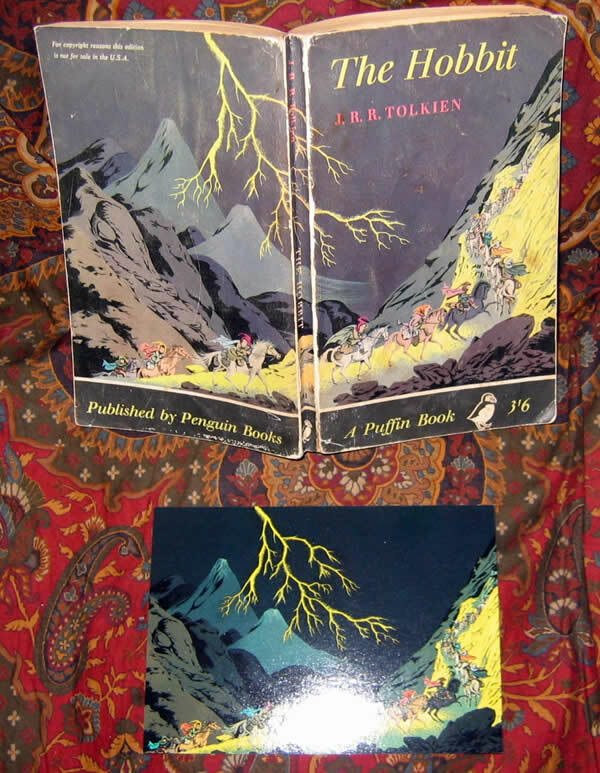 A relatively lightly worn copy of the 1st paperback edition of the Hobbit, Published by Puffin Books for the UK only. This copy shows rubbing to the folds, some spine slant, light curving to the spine, and the pages are starting to darken. 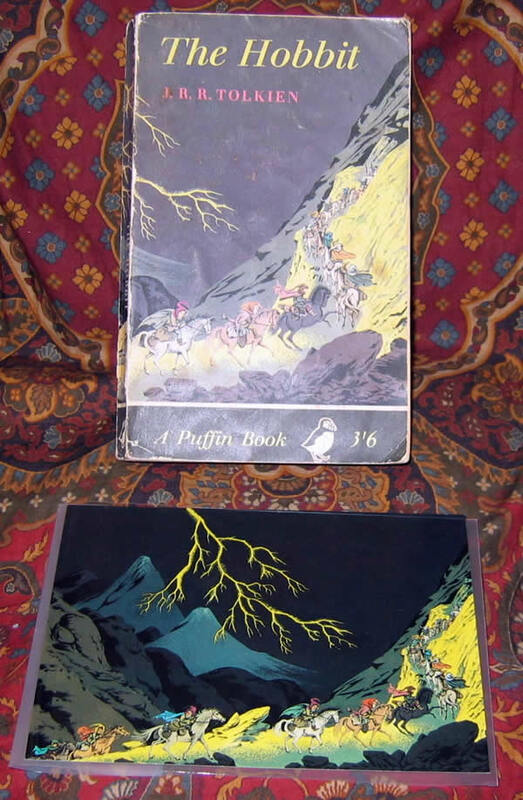 This copy also contains a postcard, depicting the Thirteen dwarves, Bilbo and Gandalf scaling the Misty Mountains, as the cover of this issue Hobbit as designed by Pauline Baynes. 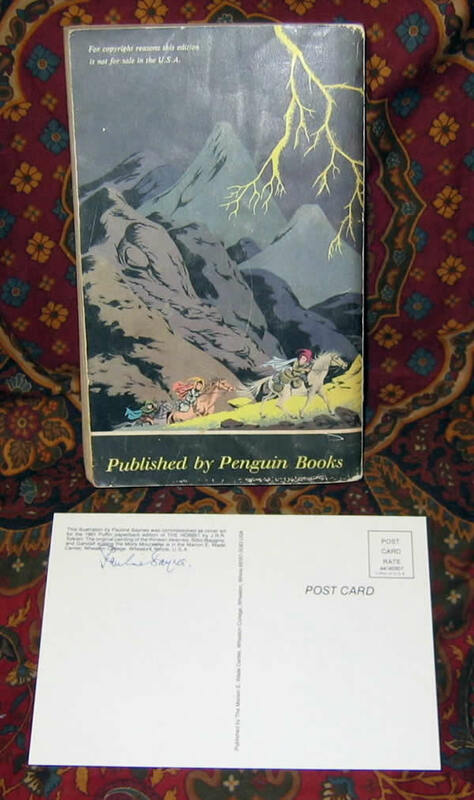 The verso of the postcard is signed by the Illustrator of the cover, Pauline Baynes. The postcard is in as new condition, with a mylar cover to protect it. No other markings or writing to the book or postcard.